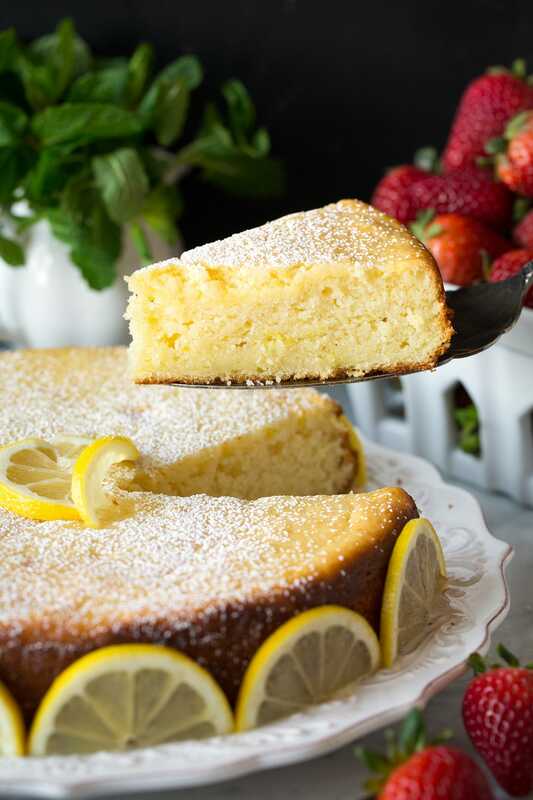 This Lemon Ricotta Cake is the perfect dessert to welcome spring! It’s an Italian inspired, made from scratch cake that has such an irresistible flavor. The ricotta in the cake lends moisture and a delicious richness and the lemon zest adds a welcome zing. Trust me, this is a cake people wont forget about! 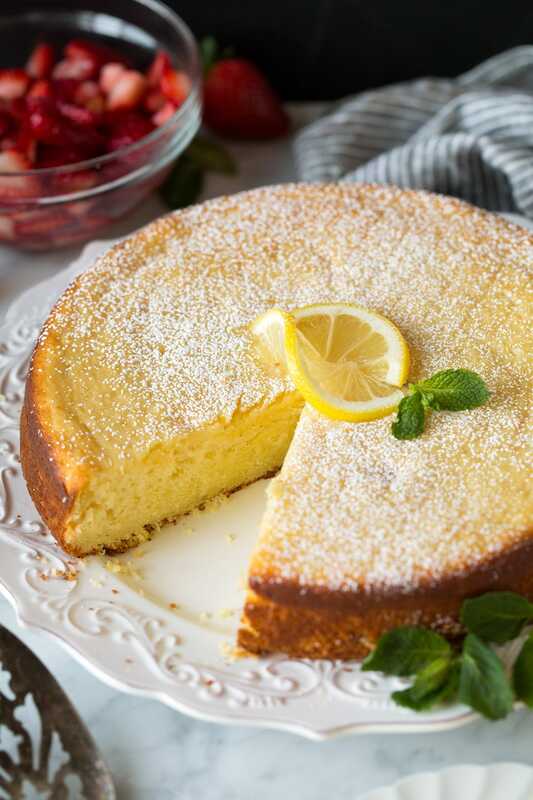 Admittedly this is a not so traditional Italian Ricotta Cake – the more traditional ricotta cake is made either with either almond flour or semolina flour. 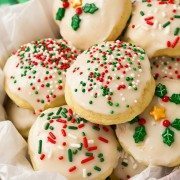 I’ve tried the almond version and while it’s so delicious I actually prefer this softer version made with all white flour. 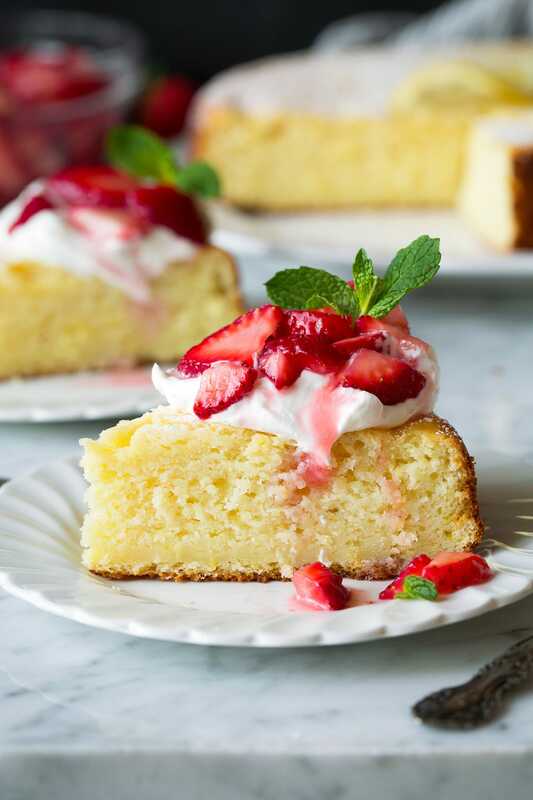 This ricotta cake is perfectly rich, it has a good density (similar to muffins), it’s amazingly moist, and perfectly lemony. And it’s perfectly highlighted with toppings of fresh, lightly sweetened strawberries and fluffy whipped cream. The blend of the three layers together is simply dreamy. I love that this cake isn’t overly sweet, in fact it would even make an ideal weekend breakfast/brunch cake. 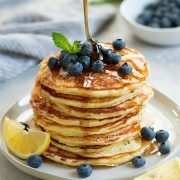 Serve it to guests on Friday night for dessert then save what’s left (if there is any) for breakfast on Saturday – sounds like a good plan to me! Unfortunately this cake of mine is already gone (I made this cake a few weeks ago, I’m a few weeks ahead with recipes to share). But no worries, I’ve bought more ricotta to make it again! It’s a perfect spring treat and I just can’t get enough of it! I have a dessert addiction, can you tell?? 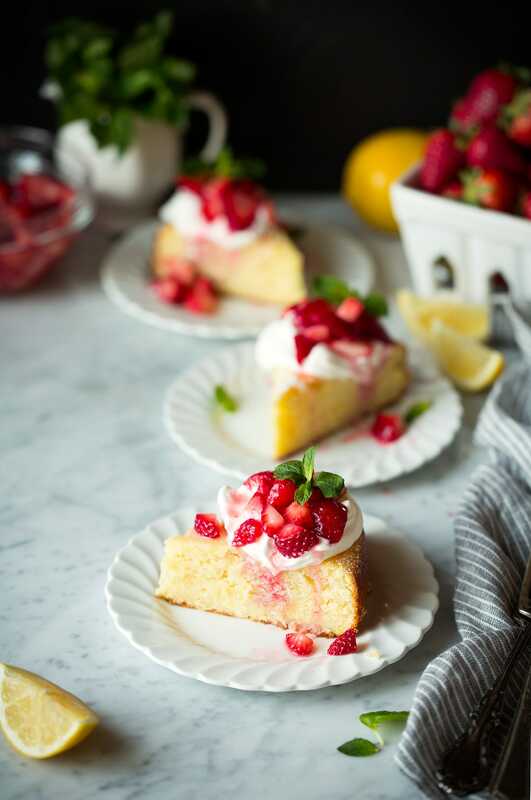 This cake is the perfect dessert to welcome spring! It's an Italian inspired, made from scratch cake that has such an irresistible flavor. The ricotta in the cake lends moisture and a delicious richness and the lemon zest adds a welcome zing. Trust me, this is a cake people wont forget about! 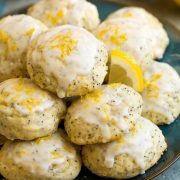 In the bowl of an electric stand mixer fitted with the paddle attachment cream together sugar, butter and lemon zest until pale and fluffy. Mix in eggs one at a time (mixture will appear lumpy), blend in vanilla. Pour batter into prepared springform pan and spread into an even layer. Bake in preheated oven until cake is set (a toothpick can come out moist but no batter), about 45 - 50 minutes. 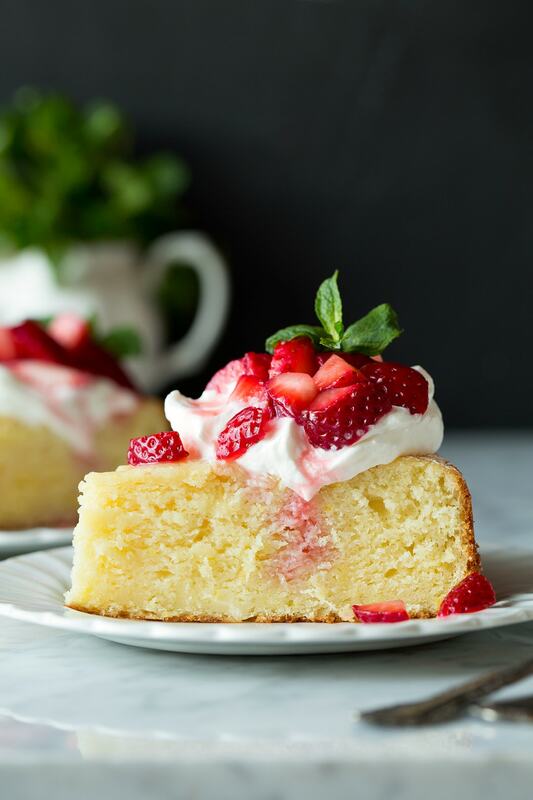 Once cool, slice and serve with macerated strawberries and whipped cream. In a medium mixing bowl toss strawberries with 2 Tbsp of the sugar. Cover and let rest in refrigerator while cake is baking and cooling. In a separate medium mixing bowl using an electric hand mixer whip heavy cream until soft peaks form. Add 1 1/2 Tbsp sugar and whip until stiff peaks form. Store in refrigerator until ready to serve.